History buffs can polish their need for adventure here. Throughout Northern Nevada, there are side-roads that trace countless journeys through an age of exploration and discovery. Passageways that resound with the joys and sorrows of those who once traveled here and left their mark, making Reno Tahoe the diverse region it is today. You can discover preserved buildings, historic landmarks and even a city that continues to hold onto its Wild West roots. 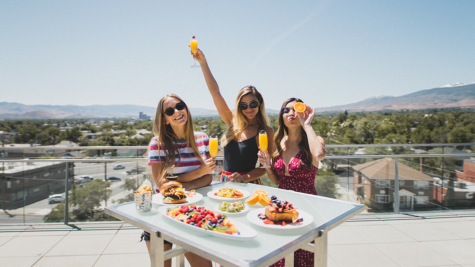 When visiting Reno Tahoe, prepare to see and experience a variety of cultures, from our Native American and Basque history, to evidence of our silver mining background and Western traditions. Humans have been in this geographic region called the Great Basin for at least 10,000 years. Paleo-Indians were the first inhabitants followed by the four contemporary tribes – Washoe, Northern Paiute, Southern Paiute and Western Shoshone. Our Native American background is still a huge part of Reno Tahoe and we strive to preserve and celebrate it. The Washoe have inhabited the region for at least 9,000 years, with tribal lore saying they have lived here since time began. In fact, the word ‘Tahoe’ is a mispronunciation of the Washoe word for “the lake” (da ow). 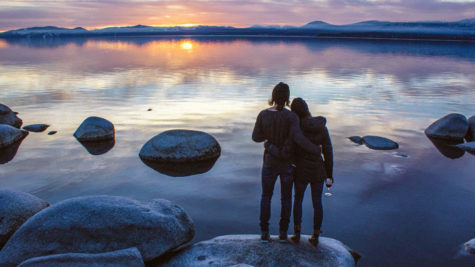 Each year, tribal members still gather at Lake Tahoe’s edge to bless the water and themselves, and one of their most sacred sites is Cave Rock on the southwestern shore. The Northern Paiutes are deeply grounded in their environment, and this is evident in the names of different bands. 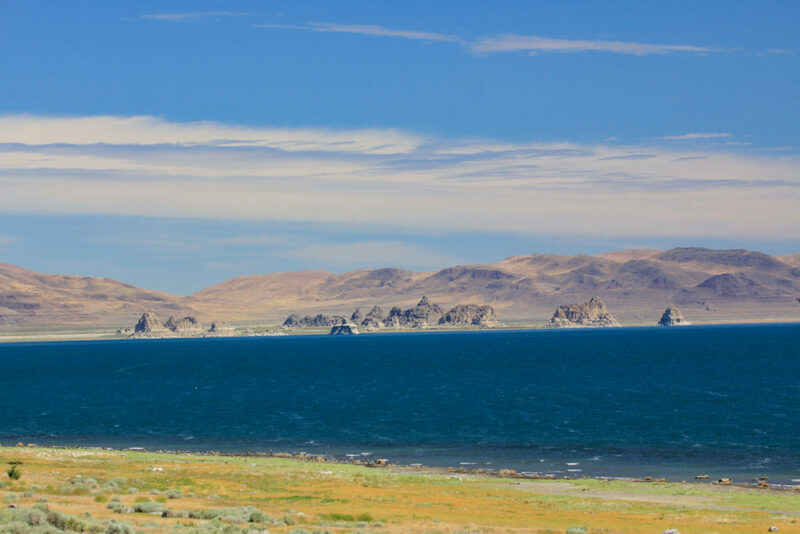 For example, the Pyramid Lake Paiutes are called Kuyuidokado (Cui-ui eaters), after the Cui-ui fish, found in Pyramid Lake and nowhere else in the world. 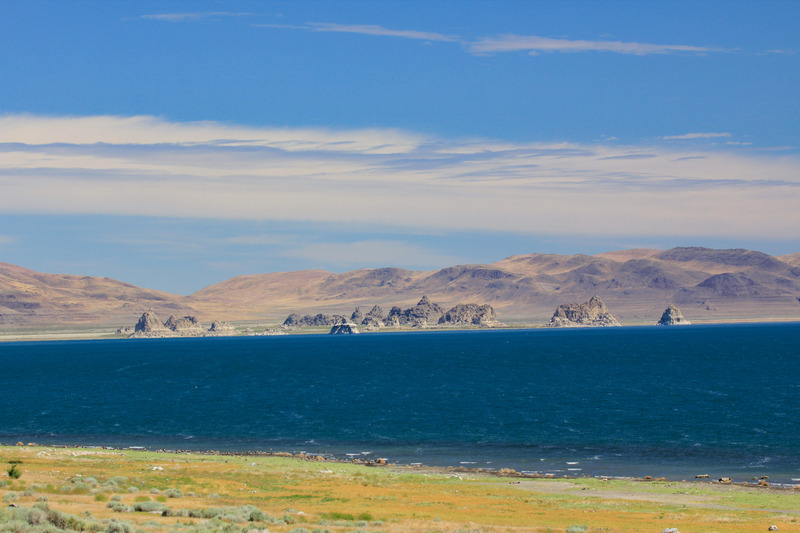 Located in the desert north of Reno, Pyramid lake is the largest remnant of the ancient Lake Lohontan that once covered most of Nevada. The beautiful desert lake is located on the Paiute Indian Tribe reservation. Make a trip to Pyramid Lake to get a sense of the history that goes back centuries at the Pyramid Lake Paiute Tribe Museum and Visitors Centers. It is obvious where the lake got its name – there are unusual rock formations including the large Stone Mother in the middle of the lake shaped like a pyramid. The lake is popular for recreation, including fishing and boating. While you’re exploring the region, keep an eye out for ancient petroglyphs carved into the rocks. Nevada is home to approximately 1,200 identified prehistoric rock art sites, spanning a period of 10,000 years. Petroglyphs have been found in areas near Reno Tahoe, including Grimes Point and Lagomarsino Canyon. Nevada Rock Art Foundation is a non-profit that promotes the protection of prehistoric rock art throughout the state. From a tiny region in the Pyrenees mountains between France and Spain, the Basque people initially came to Northern Nevada during the gold rush era but the young migrants soon found a better life could be had through raising sheep and selling the meat to the local mines. As a result, the sheep industry in California and Nevada flourished, with an estimated two million sheep grazing the Sierras during the peak of Basque sheepherding. Northern Nevada fully embraces this Basque heritage and culture with restaurants, festivals, monuments, and more. 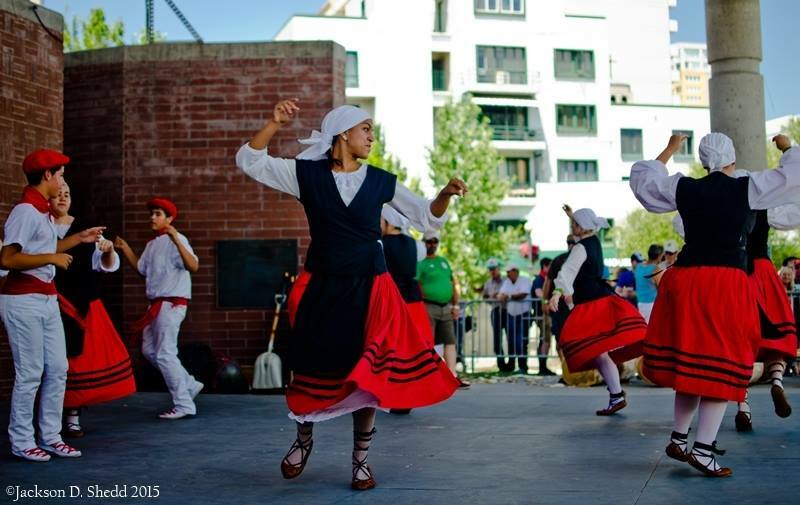 Celebrations of the Basque culture are in full swing throughout the year, such as the Reno Basque Festival in July, presented by Artown. The University of Nevada, Reno is home to a Basque Library which was founded in the late sixties and is one of the only of its kind still standing in North America. In addition, there’s a monument located on the intersection of McCarran Blvd. and North Virginia St. known as The National Monument of the Basque Sheepherder, which represents a sheepherder holding a map illustrating the Basque settlement in the United States. As for the food, well, let’s just say in Reno Tahoe you can still get a taste of traditional Basque dishes at Louis Basque Corner, where you can get the best Picon Punch in town! 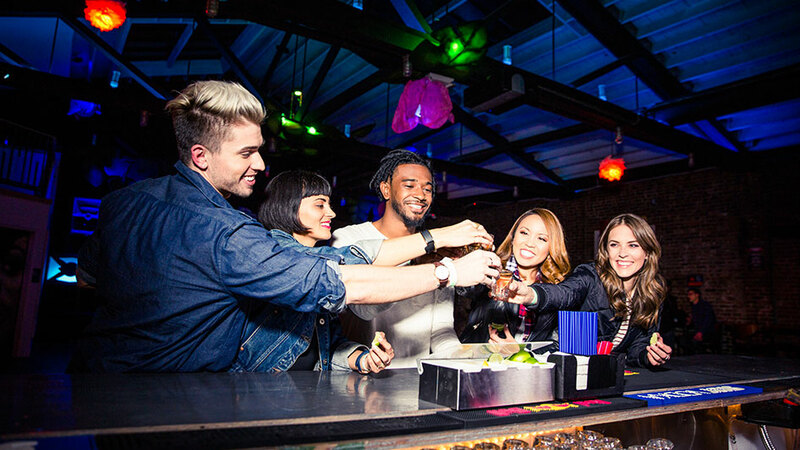 There’s a reason the famous phrase is the “Wild, Wild West” and in Reno Tahoe, there’s no hiding our Western culture. 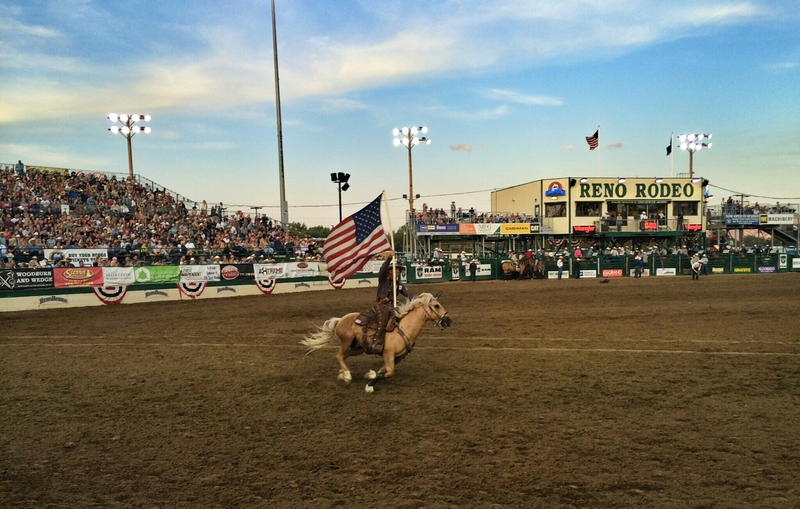 Our community comes together every year for The Wildest, Richest Reno Rodeo at the Reno-Sparks Livestock Events Center for a bucking good time! 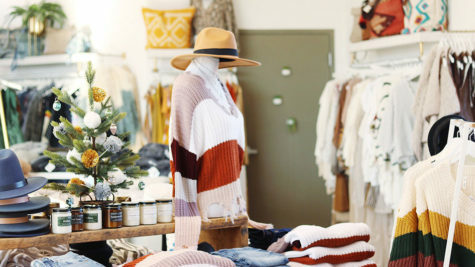 It’s one of the most popular events in our community, and has something everyone can enjoy from traditional rodeo events to a carnival midway and shopping the many Western vendors. The 10 days of the Reno Rodeo aren’t the only time Western influences can be found around Reno Tahoe. Horseback riding is a popular outdoor activity you can enjoy year-round in our region. And if you’re not an experienced rider or you don’t have your own horse, don’t worry, there are local companies that offer trail rides for riders of all levels. Once upon a time, Virginia City was home to the Comstock Lode and a place where miners pulled millions of dollars worth of silver from 3,000 feet under the city. Today, you can step back in time by visiting the still-standing saloons and shops, or even walking the wooden sidewalks along the main street, which will give you real feel of the Comstock spirit. Comstock tours are also available around Reno, Lake Tahoe and Virginia City. To get a better idea of our history and see local landmarks first-hand, reserve a history tour with Historic Reno Preservation Society or Historic Reno Preservation Society.